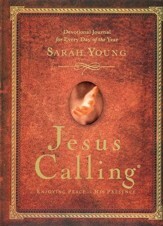 I bought this devotional for my wife and she loves it. The quality is great and the price was fantastic. I would highly recommend. Besutiful book, inside & out. I bought this book for a Bible Study gift exchange. iIt is especially nice that it has spaces to write after each days verse. I would love one myself, but I have another version.